I just finished an ARC of John Connolly’s latest Charlie Parker novel, The Wolf in Winter (review to follow soon). There are many series that I love and anxiously await the next installment but Connolly’s Charlie Parker series is anticipation on an entirely different level. The closest I can come to describing it is a child at Christmas. I can’t wait for it to get here but it is over too quickly. When I received the ARC from the publisher I put aside Terry Brooks’ The Measure of Magic, not because it was unenjoyable but because I just couldn’t wait to read more Charlie Parker. 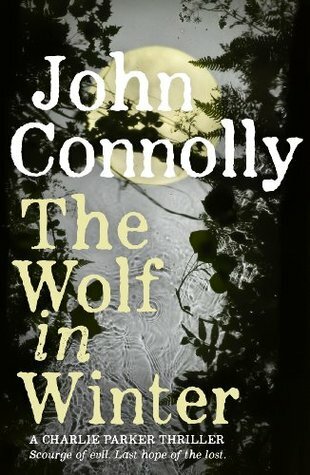 After I finished The Wolf in Winter I was prepared pick up on The Measure of Magic, but I found myself wanting more John Connolly. I was thinking about re-reading the Charlie Parker series, but then I found there was one of his works I had not yet read, Bad Men. While it is not in the Charlie Parker series, he is mentioned. There is a certain atmosphere to all of Connolly’s books and picking up one of his books feels like slipping into a comfortable pair of shoes. 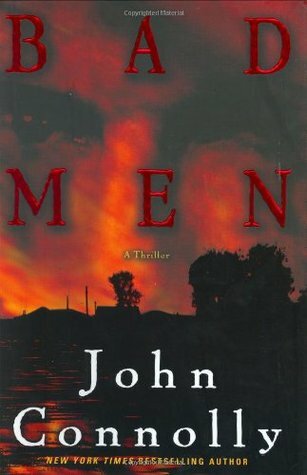 I stopped by the library and picked up Bad Men this afternoon and I am starting it tonight as soon as I put the kids to bed. I’ll pick back up The Measure of Magic once I satisfy by Connolly itch. Posted in Reading Life. Tagged reading life. I loved The Book of Lost Things by JC and always look longingly at this series – but there are so many books (I think??) It kind of makes me think twice given that I’ve already got so many unfinished series on the go.